After playing the same levels or flying the same airplane over and over, many avid gamers quickly tire of their games. Now, with gmax supported games, they have a 3D modeling tool that is easy to use, comes with documentation, and includes a common framework that can be used to modify many popular games. 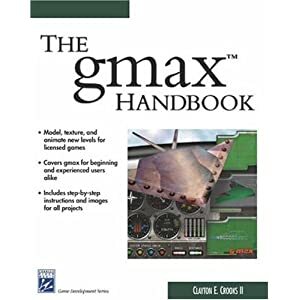 The gmax™ Handbook shows you how to use this powerful application to modify actual games, such as Microsoft ® Flight Simulator 2002, Dungeon Siege, Quake III Arena, Tr ainz, and more!